At the age of 4 Stephanie began her dance journey at Larkin Dance Studio. Professionally trained, she studied ballet under Ted Kivitt and Michelle Lucci. Over the next 23 years she continued her training and love of dance by attending numerous conventions such as Tremaine, LA Dance Force, West Coast Dance Explosion, Pulse ad Broadway Dance Center NYC. After switching to 4th Street Dance Centre at the age of 13 and dancing competitvely through high school, she began teaching both recreational and competition levels, agea pre-school through high school. 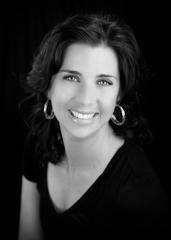 Stephanie is the lead instructor of 4 competition classes - Rising Stars, Twinkling Stars, Junior Line and Teen Line. In addition, she choreographs and instructs competitive solos, duets, trios and small groups. She lives in Hugo with her family. Two of her three children also dance competitively at 4th Street Dance Centre. Stephanie's Mission: Sharing her love of dance with her students, be it recreational or competitive classes. She wants her dancers to achieve their goals in a positive, supportive classroom. She's here to make sure they learn proper technique and have fun doing it.